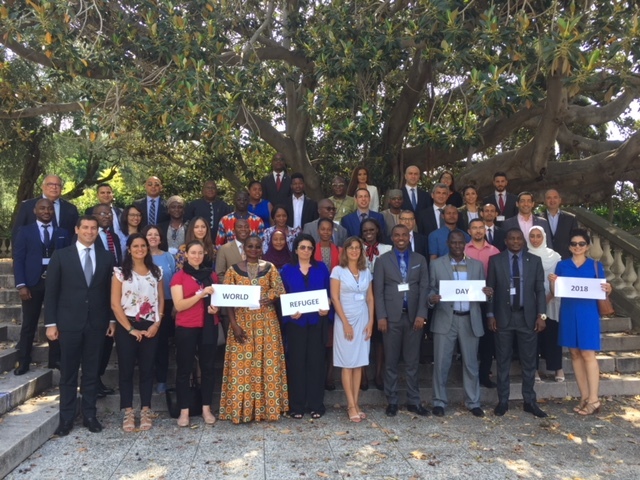 From June 19 to 23, Cynthia Petrigh from Beyond peace is directing the 94th Refugee law Course in French at the International Institute of Humanitarian Law in San remo. 45 Officials from 16 countries debate on refugee status determination procedures, cooperation among States, individual arrivals versus mass influx and security concerns for governments. The course opening featured a testimony by a cultural mediator on the Aquarius. On June 20, participants and organisers celebrated World Refugee Day while UNHCR Filipo Grandi is visiting Niger.